Team Games are special mathematical puzzles and problems which produce real cooperation between the members of a team. The mathematical content is that of the normal curriculum and whether you call them games, puzzles or problems they undoubtedly offer a very positive experience at a variety of different levels. Each player only gets some of the information and so all must play a part in arriving at a solution. Sixteen tried and tested team games are provided in photocopiable form and once it is realised how well this format works, it will not be difficult to construct more for yourself. This book is aimed at the secondary school curriculum or perhaps a high ability primary group/gifted and talented group. 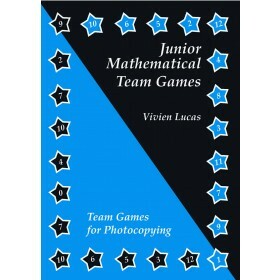 For primary ages we also have the sister book Junior Mathematical Team Games.